Welcome to the New Year!! And with the New Year comes our special 31 Days of Love series! 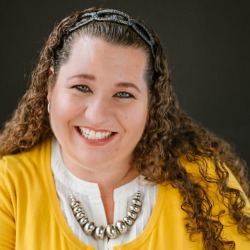 This is the 4th year (wow!) 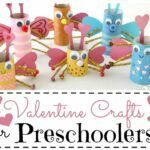 of this wonderful series – dedicated to show casing Valentines Day Crafts and Activities from blog from around the world. An opportunity to discover new sites to follow and fall in love with. 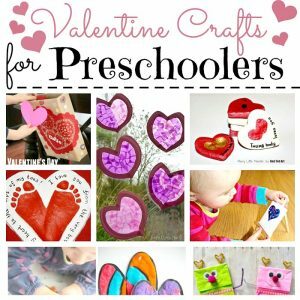 Each year they share a range of Valentine Crafts for Preschoolers, Valentine Day Treats, Valentine Decorations and Valentine Cards for Kids and much much more. I can’t wait what 2017 has in store for us! 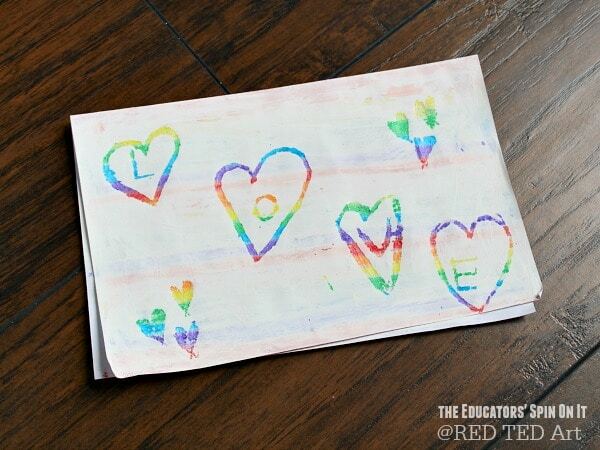 To kick things off, the lovely Kim from Educator’s Spin on it will be sharing some DIY Crayon Scratch Art Hearts! 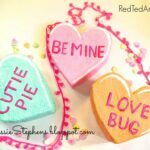 These make perfect Valentine Cards for Kids to Make too! 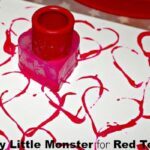 I’m excited to share with you how to create a Valentine’s Day Card with a new twist using just crayons and white paint for someone special. I’ve shared Water Color Hearts Card and Winter Bird Valentine Card for the 31 Days of Love Series the past few years. 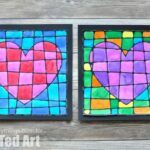 Now my children and I have a colorful heart themed art project we know you’ll love as one of our 101 Valentine’s Day Activities. Let’s get started! 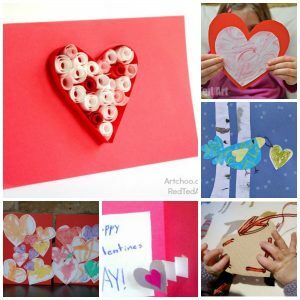 Fold plain white paper in half to create a card for Valentine’s Day. 2. 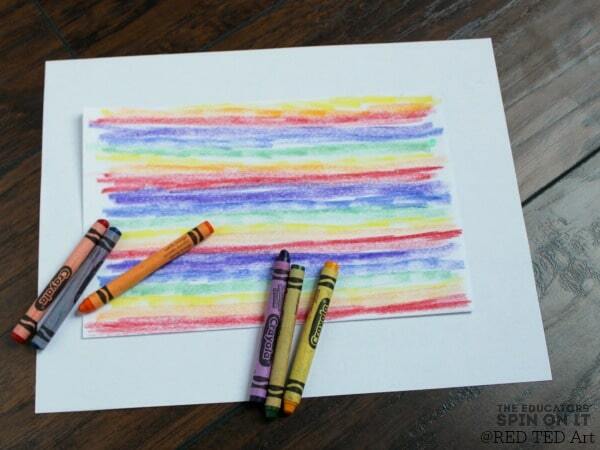 Use crayons to color the paper by making stripes in the order of the rainbow. To make the art form work best, be sure to color with a heavy layer of crayons. 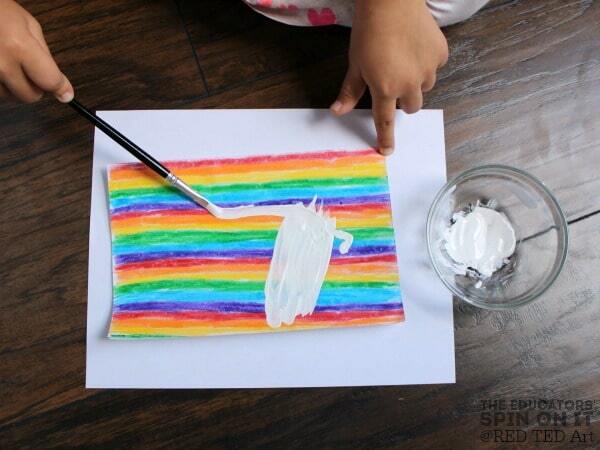 It create a fun way to talk about patterns using the colors of the rainbow too. 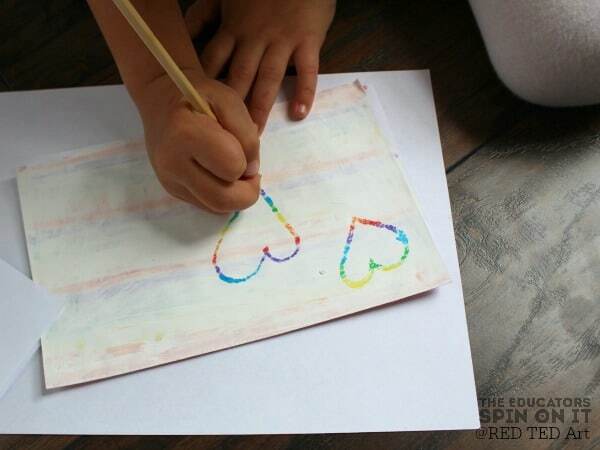 Younger kids may have other ideas too on how to design the crayon design. 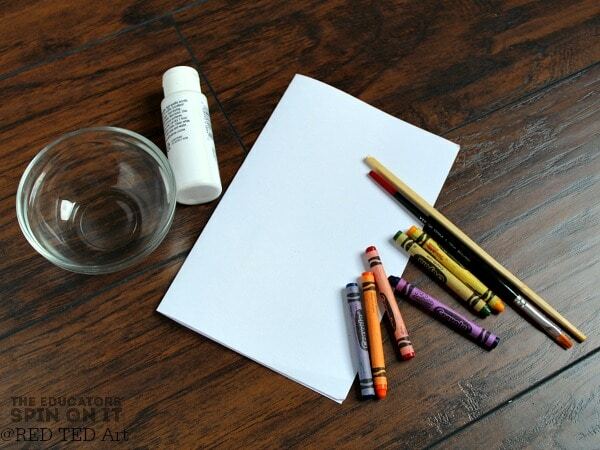 Next apply white paint over the whole crayon colored area to cover up all of the crayons in a thin layer. 4. 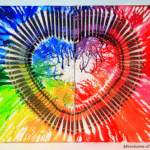 Allow time for the paint to dry before you continue the valentine art project. While you’re waiting you can brainstorm ideas for what you draw on the front of the Valentine’s Day card. The design needs to be simple to make it work properly. 6. Once dry use a popsicle stick or a wooden chop stick to etch a design into the white paint by scraping it away to expose the crayon layer. 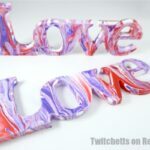 We created hearts to make it a Valentine’s Day card but you can do any type of design on the white paint and even write words. You could use the word LOVE or Happy Valentine’s Day on the front as well. 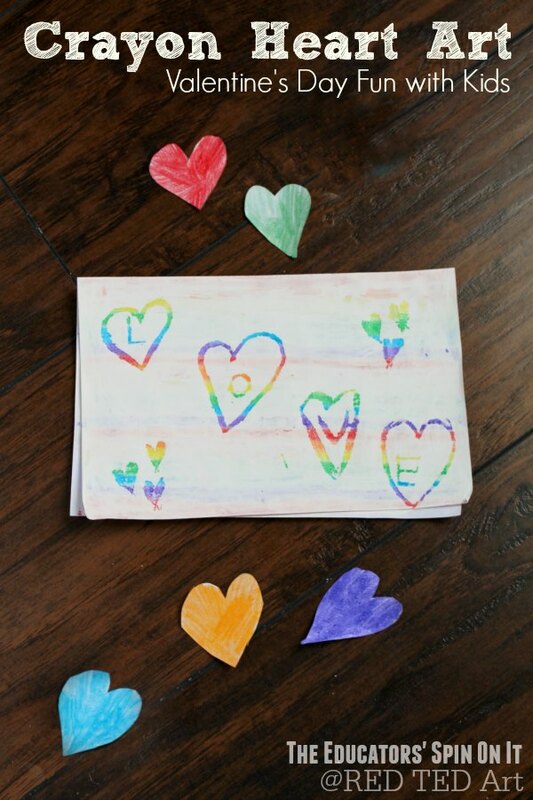 Now create a special Valentine’s Day message of love inside your Valentine’s Day card. 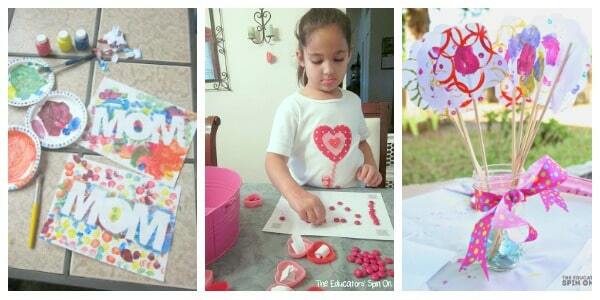 You can even add a few handmade hearts inside as confetti and color with the crayons too. 8. 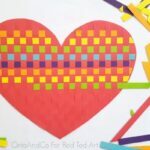 Give this Crayon Heart Themed Art Card to someone special for Valentine’s Day. I’m adding this to our list of 20 Adorable Valentine’s Day Cards to Make for a loved one. Happy Valentine’s Day! 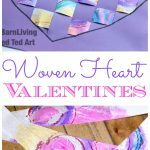 If you enjoyed this Valentine Art Project you may also like.. 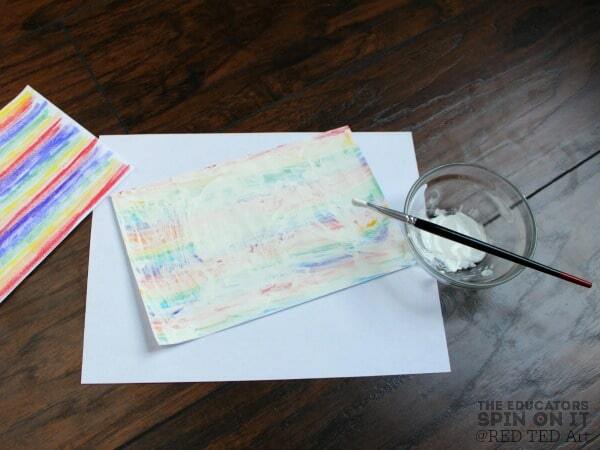 I hope you enjoyed this lovely DIY Crayon Scratch Art – thanks to the pretty rainbow colours, this would make a great St Patrick’s Day activity too or bank it with your Valentine Crafts for Preschooler ideas.